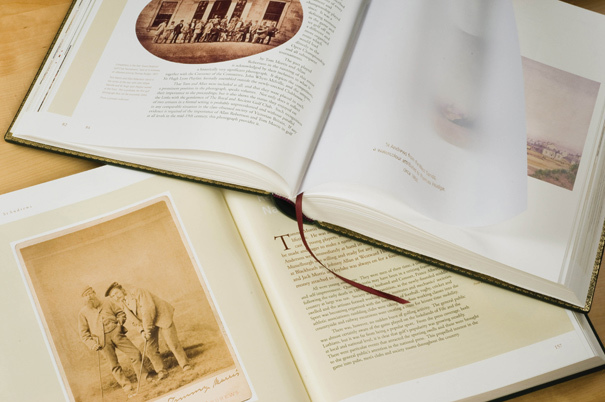 Yet another golf book I’ve designed has won the Murdoch Medal, presented by the British Golf Collectors Society for the most outstanding golf publication of 2013. Announced during The Open Week, this is the fourth Medal my books have received in five years. 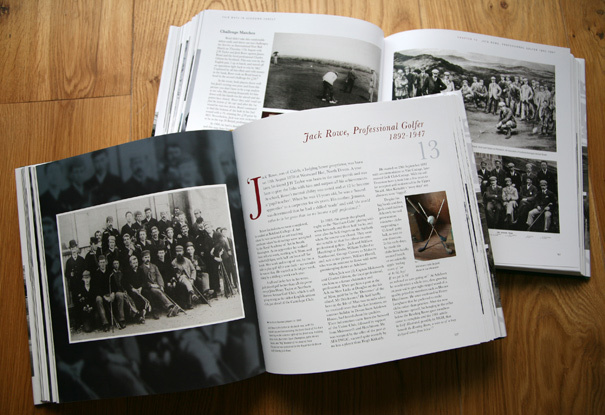 My first book success goes back to my design involvement with authors David Malcolm and Peter Crabtree and their book Tom Morris – The Colossus of Golf, which was awarded the USGA’s 2008 Herbert Warren Wind Book Award “in recognition of its high standard of achievement in golf literature”, followed by the 2009 Murdoch Medal. 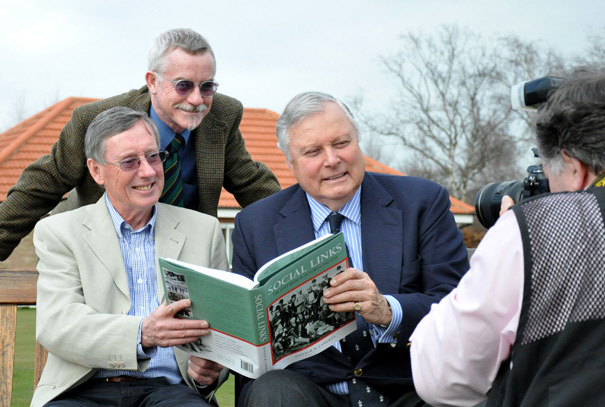 The following year, I worked with Cambridge author, Donald Cameron on his book, Social Links – The Golf Boom in Victorian England. This was launched in Cambridge in March 2010 by golf TV commentator, Peter Alliss, and was subsequently awarded that year’s Murdoch Medal. 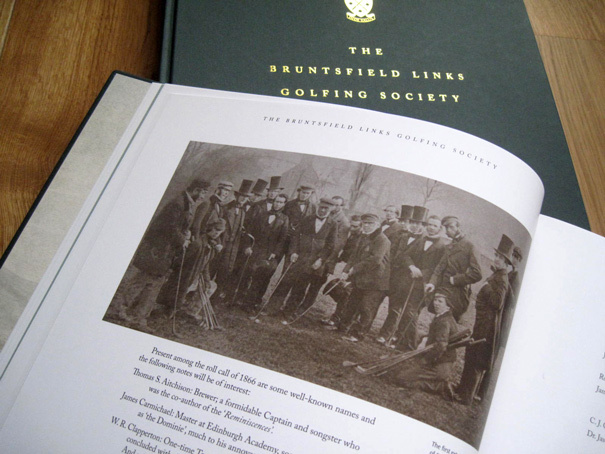 Next came Bruntsfield Links Golfing Society 1761-2011, written by Pat Colledge, celebrating the 250th anniversary of the world’s 4th oldest golfing society, that won the 2012 Murdoch Medal. Last October, Fairways in Ashdown Forest, was launched. Written by Colin Strachan to celebrate the 125th anniversary of Royal Ashdown Forest Golf Club, this has now received the 2013 Murdoch Medal. 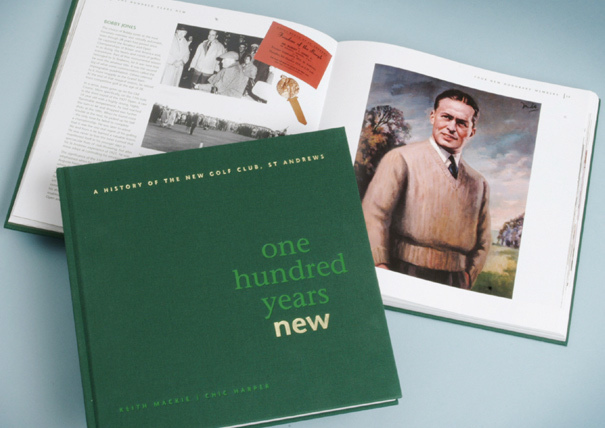 This golf book story started way back in 2001 when, as a committee member of The New Golf Club, I embarked on the design, production, photography and some writing of One Hundred Years New, the book to celebrate the club’s centenary in 2002. 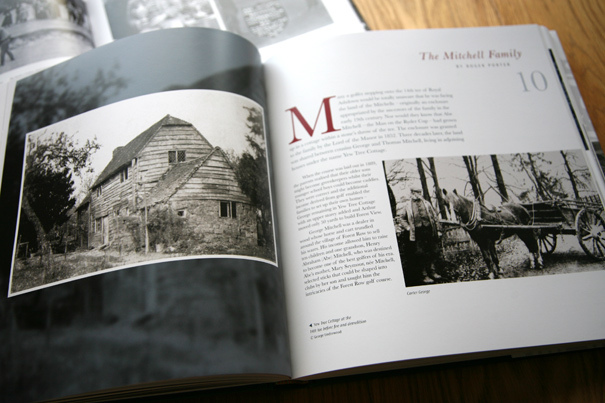 This 224-page book, my first, took me two and a half years to produce but, on its launch in 2003, it was immediately acknowledged by collectors as being significant within the marketplace. 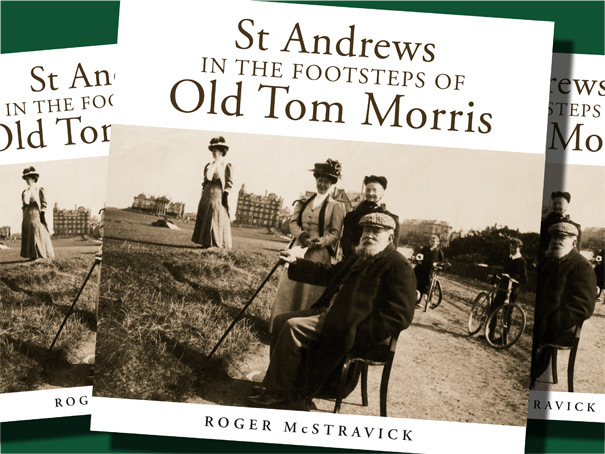 Currently, I’m working on several more golf books, including The Golfing Strath Family of St Andrews for David Malcolm, The Fine Art of Golf, a book of paintings of golfers, golf courses and golf events by famous artists, and St Andrews in the Footsteps of Old Tom Morris, written by St Andrews author, Roger McStravick, that traces the footsteps of Old Tom and his contemporaries around the Home of Golf, its significant homes, buildings, streets and, of course, its golf courses.